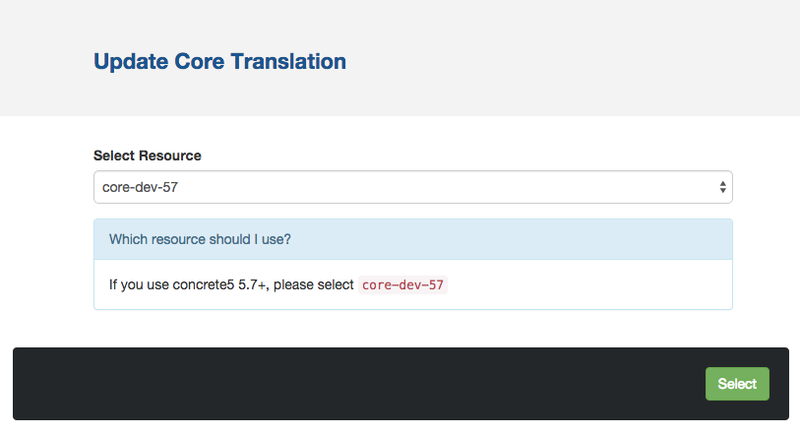 If you are running your concrete5 site in a non-English language, this add-on provides an availability to download and update the translation file for each language from the official GitHub concrete5 repository. Go to "Update Core Translations" page in Dashboard. Select a resource and a language. All Done! Do not forget to clear site cache after the process. What the GitHub repository does? That repository hold the latest copy of concrete5 .po and .mo files. They are pulled from transifex.com. For more defails, check out the Translators page!